On Tuesday (2 August 2016), the Supreme Criminal Court, led by judge Dheyaa Hraidi, with member judges Wajeeh Al-Shaer and Abdul Aziz Al-Jabiri, and secretary Yousif Bu Hardan, refused to release human rights defender Nabeel Rajab; ordered the public prosecution to allow him to be seen by the doctor in the prison clinic; and decided that he should still be detained, on charges of insulting the Minister of Interior, insulting a foreign country, and spreading false news. The court decided that there will be a hearing on 5 September for pleading. Rajab's lawyers, Jalila Al-Sayed and Mohammed Al-Jishi, both said that there is no evidence that proves that their client is guilty, especially since Rajab denied that the account and the tweets are his and that the account is run by him. The lawyers also said that the electronic devices that were taken from Rajab's house when it was searched twice, also don't include any evidence that indicates that the tweets or the account are his or that the account is run by him. The lawyers demanded that Rajab should be released, due to his health condition, especially since he is still in solitary confinement. The lawyers gave the court a document from the doctor about Rajab's health. In this hearing, there were representatives of the American embassy, British embassy, French embassy, as well as other embassies. In a previous hearing, Rajab denied the charges, which include the following allegations: during March 2015, he deliberately spread false news and rumors in a time of war, which caused damage to the military operations in which the Bahraini military were involved; he insulted foreign countries; as well as insulting the Ministry of Interior and the Reform and Rehabilitation Directorate. The defense talked about the conditions of Rajab's detention: "Since Rajab's arrest, he has been detained in solitary confinement, as the detainee who is with him has memory loss and there is no communication between them." They added: "Family visits are being monitored very closely, which deprives people of any privacy that they can have, as policemen are present in the visitation room." The defense moved on to talk about Rajab's health condition: "Since his arrest, Rajab lost 8 Kg." He also suffers from kidney stones. He was seen by the prison doctor in Al-Qalaa clinic, and the doctor said the following: Rajab needs to have surgery; he has chronic inflammations in his lower back which needs an urgent surgery; he also suffers from irregular heartbeat, which, since his arrest, decreased below the normal range. The defense requested that the public prosecution should take into consideration the medical reports, which were taken during Rajab's detention, and present them to the doctors. The defense also said that Rajab frequently suffers an increase in his heart rate, making him unable to breathe or talk. They also mentioned that his immunity levels have decreased, making him at risk of being easily ill, as the doctor mentioned. The defense requested that the court releases Rajab, and lifts the travel ban on him, because there are no reasons to continue detaining him, as there is no concern over him tampering with any particular evidence. In addition, the investigation on this case was closed over a year ago, and Rajab was detained before for the same charge from April 2015 until July 2015, and a royal pardon was issued for Rajab, due to his health condition. The defense added that Rajab was detained since June 2016, as he has been detained since the order to put him on trial was issued in 26 June 2016. The court allowed Nabeel Rajab to speak. He said that the charges are malicious; that he met with security officials who confirmed to him that this case has been shelved and will not be brought up again, especially since the investigation in this case has stopped for over a year. Rajab added that, before his arrest, he had many meetings with security officials about opening a new page, building trust, bringing different viewpoints close to each other, and keeping away from clashing; but he was shocked with his arrest that was 10 days after the last meeting he had, linked to some television interviews that he had a year and a half ago, in addition to putting him on trial regarding this charge. 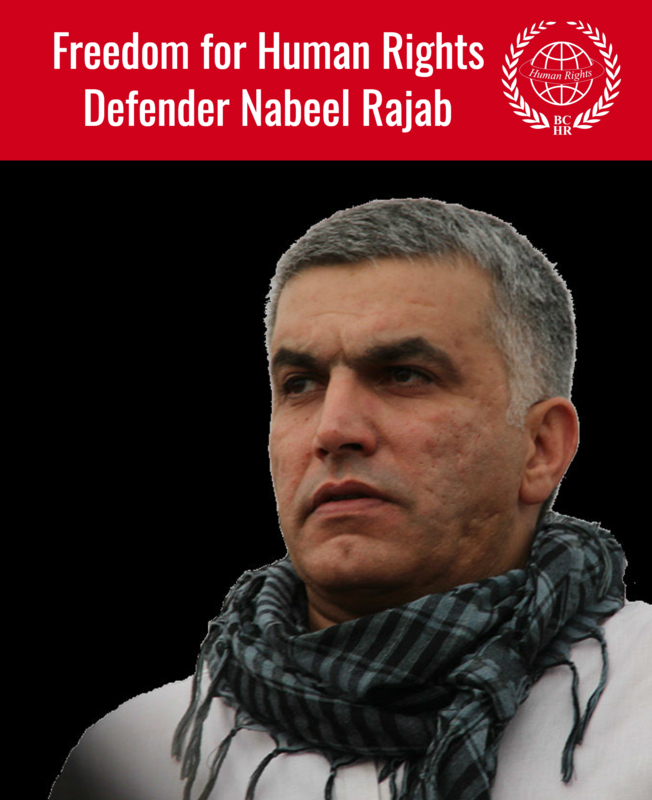 Nabeel Rajab said: "I have been a human rights defender for 20 years, and as a Bahraini, I am interested in human rights issues. 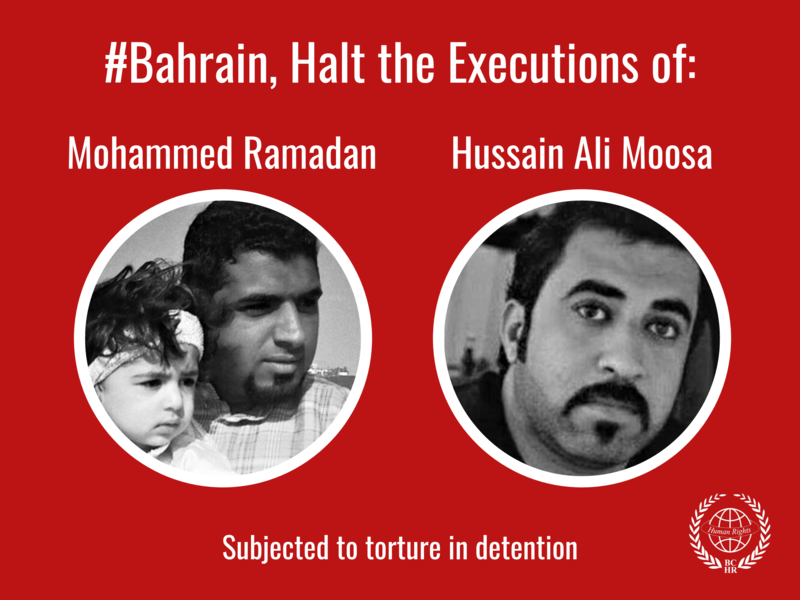 I worked on documenting some of the actions of the Bahraini authorities, which I see as violations of human rights, but unfortunately this led to me being targeted by the authorities in Bahrain. Seven cases were filed and this is the eighth, and all of them are related to my work as a human rights defender." He refused to answer questions about allegations attributed to him, and then he answered the last question by denying the charges of which he is being accused.